This Jersey Girl is Back after 10 days without WiFi! Talk about withdrawal! The trees fell like dominoes! 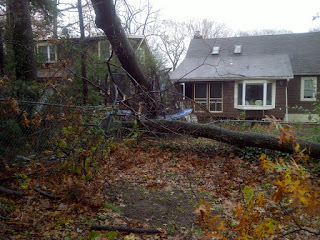 These pictures are from our street and back yard, thankfully only wires were taken out. A few days without power and cable is nothing compared to what some families and businesses are going through, my heart goes out to them. Hope everyone is doing well!